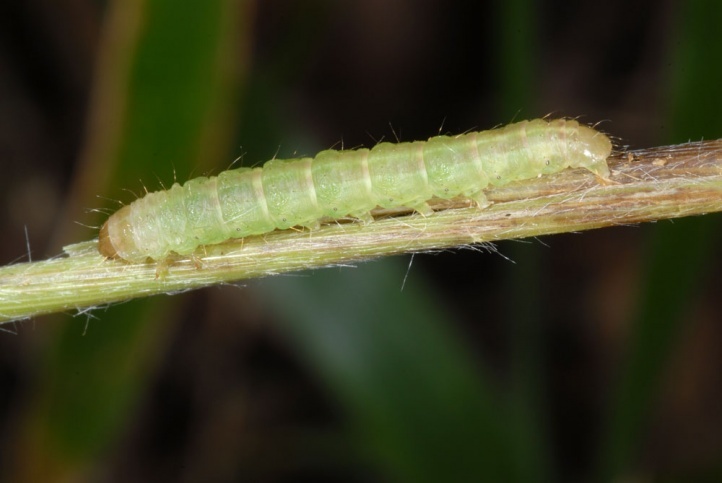 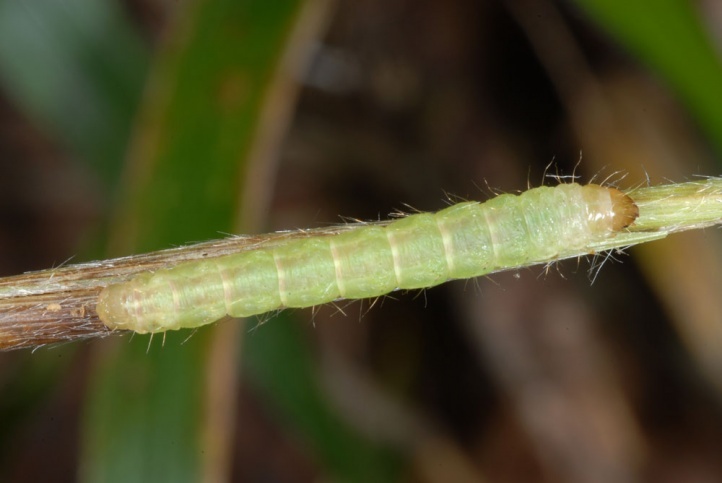 The larva feeds in grass blades. 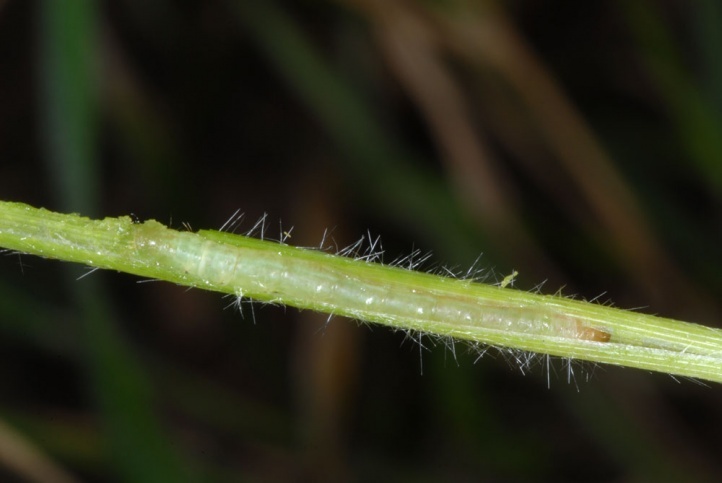 The most important species is probably Brachypodium sylvaticum on which I found my larvae. 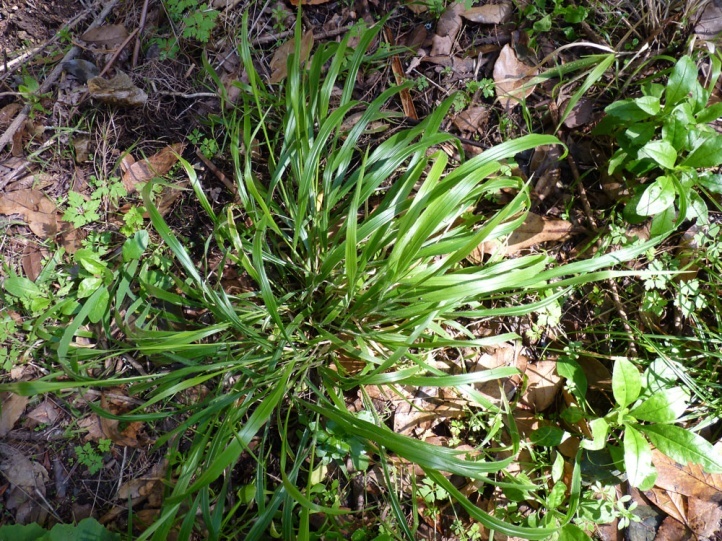 Mesapamea pinkeri inhabits often quite shady places in the laurel forests where Brachypodium sylvaticum grows. 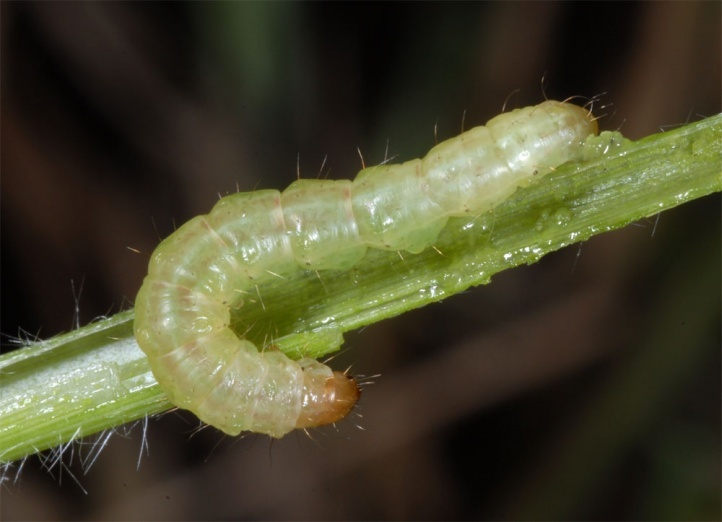 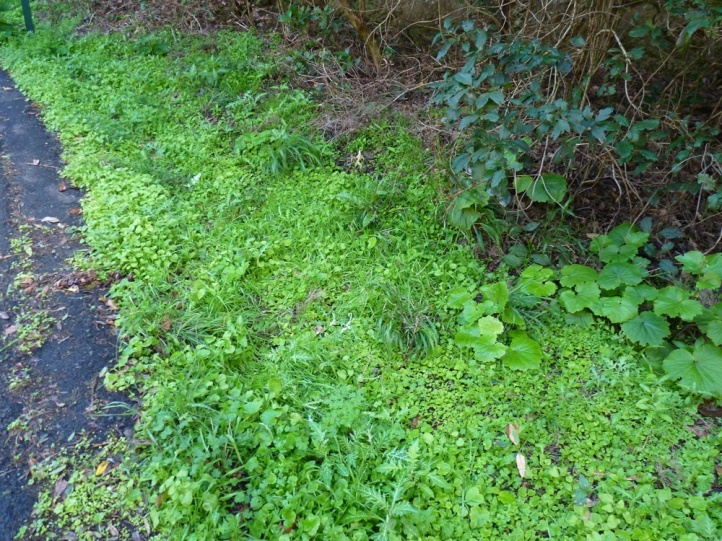 I observed the half to fully-grown larvae in La Gomera in late February 2013. 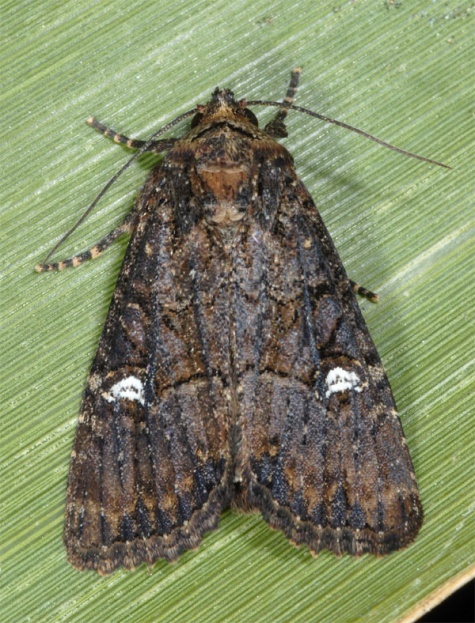 The adults are flying in a single generation between May and August. 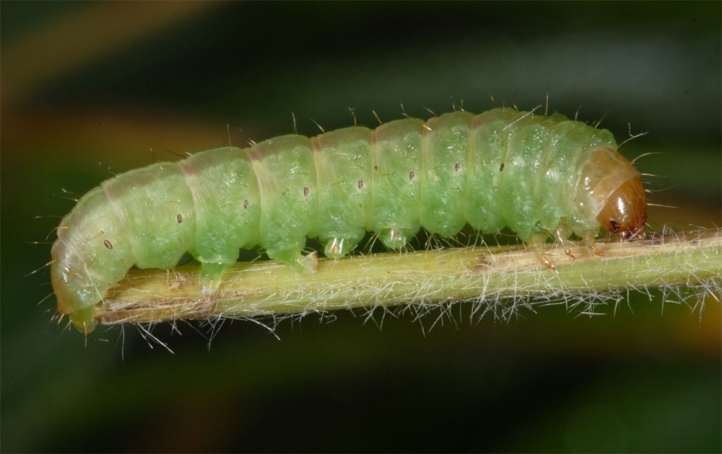 The larvae live from autumn to spring. 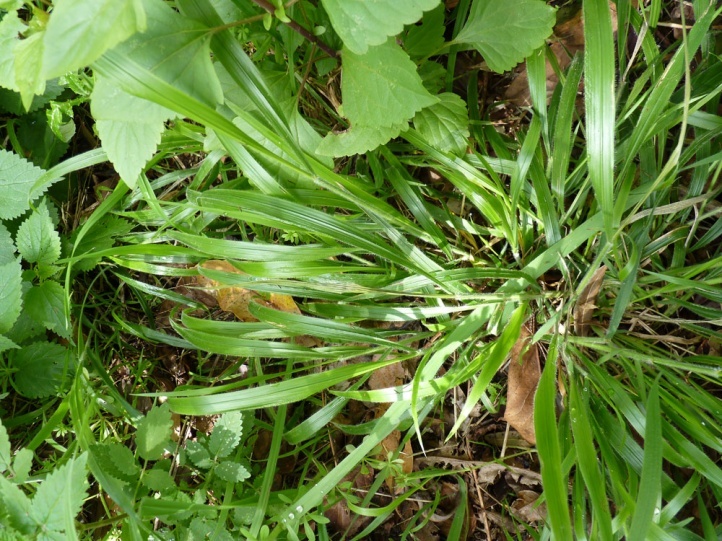 They reveal themselves as usual with this ecological group through dying younger grass leaves and drilling holes. 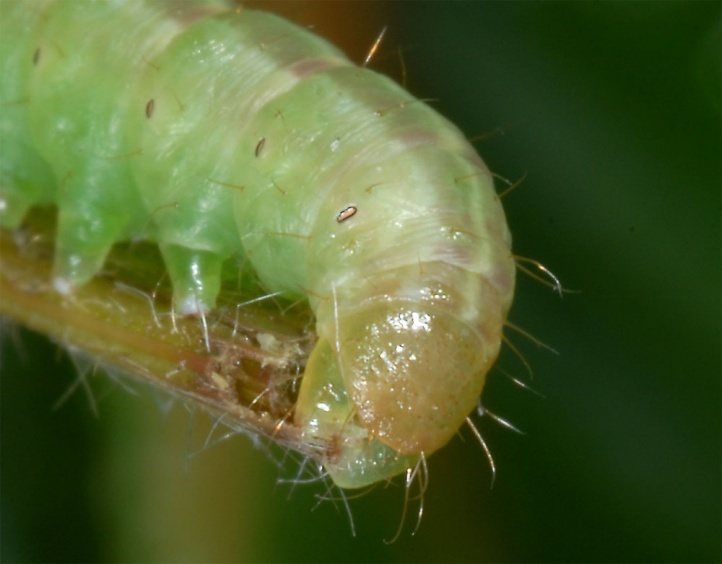 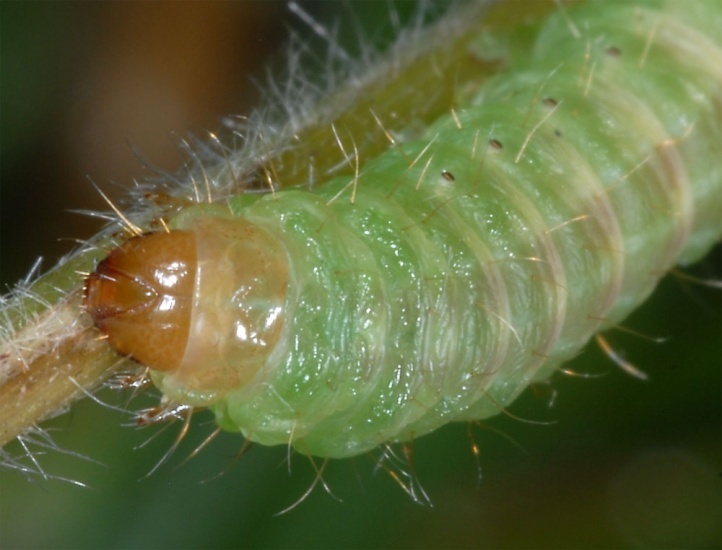 The place where the larva rests in the blade is often characterized by an unatural swelling. 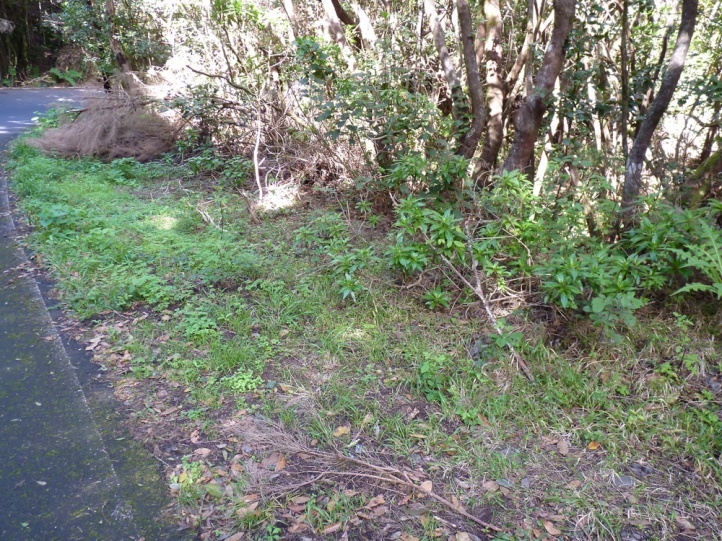 Mesapamea pinkeri depends on the laurel forests and has already been pushed back heavily (especially in Tenerife). 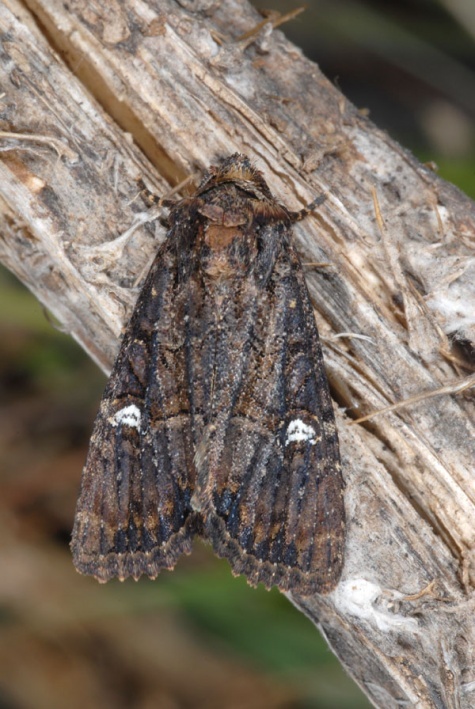 Mesapamea pinkeri is endemic to the Canaries and has so far been observed only in Tenerife and La Gomera.